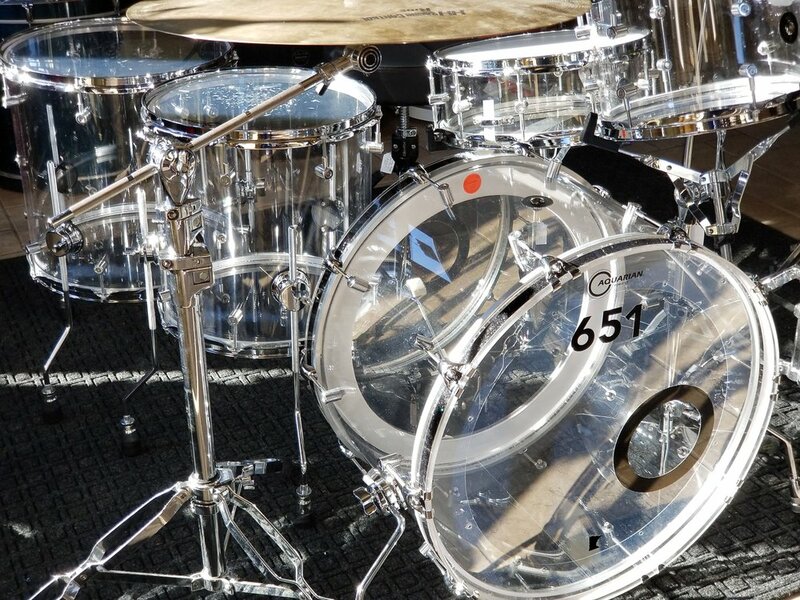 651Drums start with all maple 4.5 mm shells with precision-cut dual 45 bearing edges. Thin shells combined with these edges, which allow the drumheads to seat away from their rims, offer ease of tuning, a wide tuning range, and outstanding stick articulation and resonance. From there 651 adds its signature “F2” lugs (which stand for Form and Function) machined from 60/61 aluminum and polished to a high gloss. Our F2 lugs, as the name implies, were thoughtfully designed to offer a clean and uncomplicated look. Sans gaskets, F2 lugs meet the shell directly so all resonates in harmony (very Eastern of us). The finishing touches include Aquarian heads and our unfussy 651/MN badge, which always gets rave reviews. 651Drums are typically finished in wraps, veneers, natural satins, or automotive grade House of Kolor paint that ranges from solid colors to Ducos and Fades. 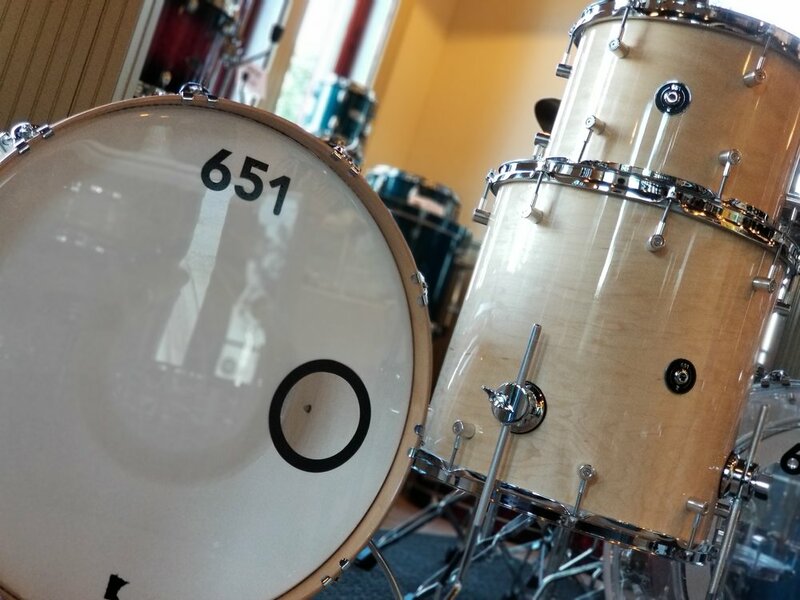 We like to say that 651Drums are “everything drums should be, and nothing they shouldn’t be.” In fact, we even left the space out from between 651 and Drums in the name because the space was superfluous (we think of everything). From jazz (Dave King of The Bad Plus) to punk (Lane Pederson of Dillinger Four), 651Drums deliver perfect sound and aesthetics.